The number of foreign tourists to Vietnam during January-November is estimated at 14.2 million, up 21.3% against the same period last year, the General Statistics Office said on November 29. Photo for illustration. Source: Internet. In this period, the number of foreigners visiting Vietnam by air and road rose by 15.3% and 64.4%, respectively, while that by sea went down 11.3% year-on-year due to impacts of storms Toraji and Usagi. Tourists from Asia accounted for 77.8% of the total, and rose by 25.3% against the same period of 2017. Almost all main markets enjoyed growth, including the Republic of Korea by 46.5%, China up by 26.9%, China’s Taiwan by 15.6%, Thailand by 14.3%, Malaysia by 13.4%, and Japan by 3.7%. The numbers of holiday-makers from Europe increased by 8.7% year-on-year; the Americas, by 11.4%; Oceania, by 19.7%; and Africa, by 19.7%. 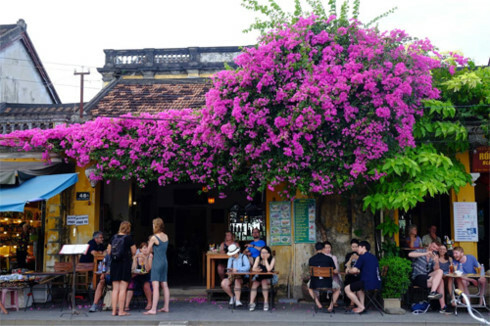 Vietnam is striving to receive 15-16 million foreign visitors this year. In November, the Vietnam National Administration of Tourism has carried out tourism promotion activities abroad, notably at the World Travel Mart 2018 held in London, the UK in earlier this month. 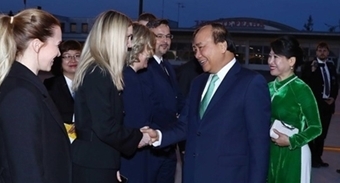 At present, the tourism sector is preparing for the ASEAN Tourism Forum 2019 scheduled to take place in the northeastern province of Quang Ninh from January 14-19 under the theme “ASEAN: The Power of One”. Hosting the forum will offer a chance for the country to advertise its tourism in the region and the world.